DEPRESSION? ANXIETY? FEELING EMOTIONAL? ACNE? FEELING TIRED? WEIGHT GAIN? HEAVY BLEEDING? IRREGULAR PERIODS? PERIOD PAIN? 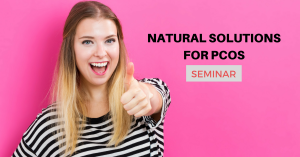 You may experience some or all of these symptoms (everyone’s experience of PCOS is different) but are feeling like enough is enough and it is time to seek out options to help you cope with PCOS. You will gain an understanding into why you are still stuck in a rut with your PCOS plus top tips on how to overcome and conquer PCOS! It’s time for the real you to shine once again! There is more to PCOS than meets the eye. Other factors you didn’t know about.